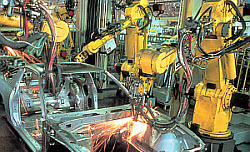 DriveWorks is used by manufacturing companies from a range of industries. DriveWorks is modular, scalable and incredibly versatile so our customers use DriveWorks in many different ways, customising their Design Automation and CPQ solutions to suit their needs. “For us, the most important thing about DriveWorks is that it helps us to drive consistency and maintain control of our engineering data. “We value many things about DriveWorks. we would create 20 quotes in a month, now we can do 20 in a day. – Shawn Casebolt, Engineering Lead, PL Custom Body. If you’ve got SOLIDWORKS, you’ve already got DriveWorks! Our free design automation tool, DriveWorksXpress is included under the tools menu in every license of SOLIDWORKS. All you need to do is activate it. Download a 30 day free trial of DriveWorks Solo to try out the full functionality for yourself. You’ll also get access to all of our handy online resources to help you get the most from your trial. Have a go with our many online configurator examples to see how versatile and customizable DriveWorks Pro is. Enter your email address to get the full experience, receive quotes and view your designs in 3D.